Holland/ Zeeland Michigan (9/29/2017): Collective Idea and Elzinga & Volkers were honored with the West Coast Chamber’s prestigious Business Leadership Award. Collective Idea’s Brian Ryckbost accepted one award on behalf of President and Founder, Daniel Morrison, and Mike Novakoski, Preseident/CEO of Elzinga & Volkers, accepted the other. The award was presented at the Chamber’s Annual Meeting on September 29, before a crowd of 465 attendees. The luncheon was held at the Yacht Basin Marina. Founded by Daniel Morrison in 2005, Collective Idea is a 12 year old software development company with 32 employees. Located in downtown, Holland, Collective Ideas creates custom web and mobile software applications for Fortune 500 multinational companies, tiny startups, and everyone in between. Experiencing steady growth over the years, from 2015 to 2017 Collective Idea added 17 new team members to accommodate a growing portfolio of work and services. In May, they were recognized as a 2017 “Michigan 50 Companies to Watch”, an award given to companies that demonstrate exceptional entrepreneurial leadership, creation of innovation, and have sustainable competitive advantage. 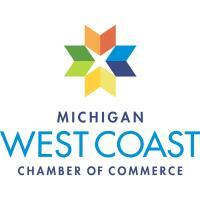 In June, the company was named a “Michigan Economic Bright Spot” by Corp! Magazine. Elzinga & Volkers Construction Professionals is a leading provider of construction management services, located in Holland and serving the entire U.S. since 1945. As a complete planning, pre-construction and construction firm, they are a single source for all construction needs. Elzinga & Volkers was recently recognized with numerous awards, including “2016 Best and Brightest Companies to Work for in the Nation”, for the sixth consecutive year. The company’s safety program was also honored by Associated Builders and Contractors (ABC) with the Diamond Level STEP Award for the third consecutive year. This is the highest award given by the ABC and recognizes commitment to employing effective safety practices on jobsites. The Business Leadership award recognizes outstanding Chamber members for being great employers who give back to the community, invest in their facilities and employees, and have a positive history of job growth and retention. Two of these prestigious awards are given each fall at the annual meeting of the West Coast Chamber. Selection of recipients is a responsibility of the Board of Directors, and winners will receive a “trophy” that is a reflection of this high honor.